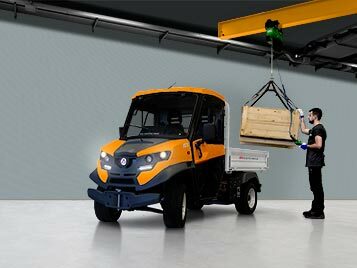 ATX320E -The best selling Alke' professional electric vehicle loading capacity (chassis): 610 kg max. towing capacity: 2.000 kg. 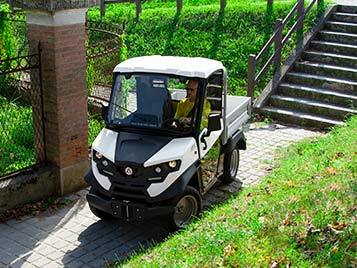 4-seater electric vehicle for transporting both work groups and materials. 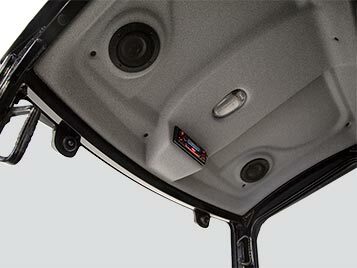 Load capacity (chassis): up to 1,450 kg. 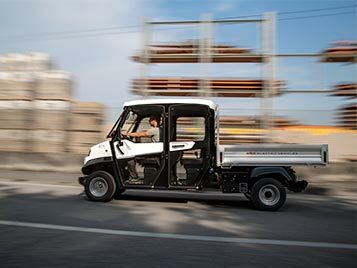 The range of electric utility vehicles ATX is characterised by technical solutions which are the result of years of experience and tests in the field, and from the type-approval for road circulation on a European level (category N1). 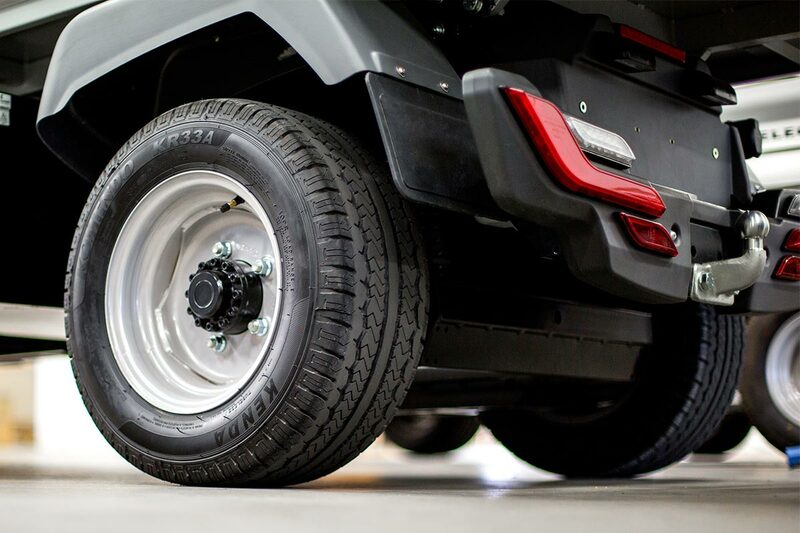 The Alkè ATX vehicles are fitted with high torque engines and gradual power distribution allowing them to handle the most difficult off-road terrain or for intensive industrial uses. They are available with 5 different wheelbases and compartments with 2 or 4 seats. They can operate with different types of batteries including quick-charge Lithium batteries or quick-change multiple battery systems. 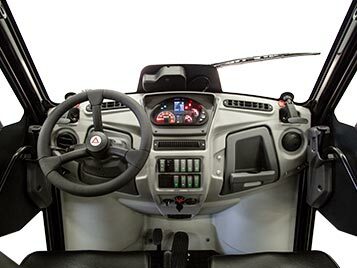 The ATX dashboard has a multifunction Display and other elements that improve the driving experience. 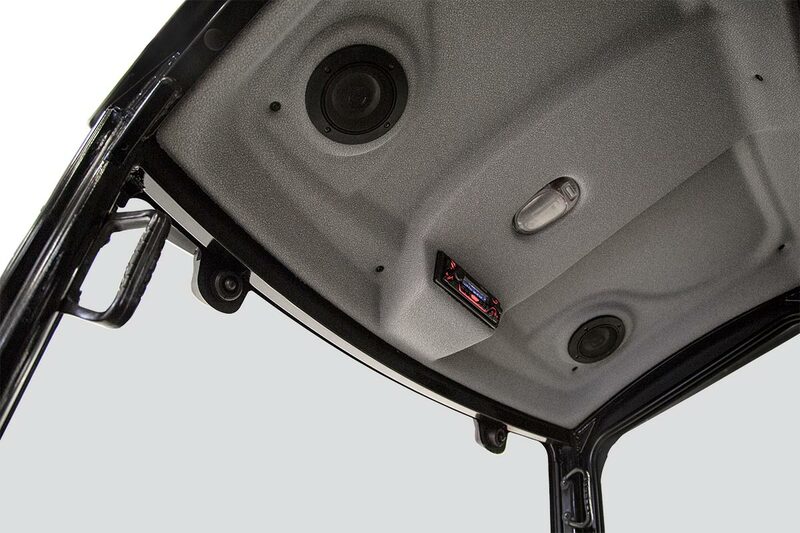 The cab can be accessorised with various optionals, including the radio with USB and Bluetooth. The reinforced rear axle means that the ATX can support a chassis of up to 1.630 kg. 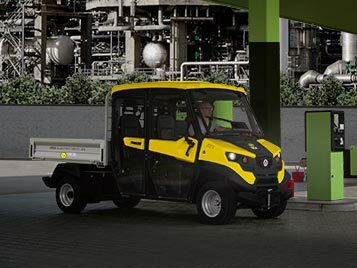 The electric utility vehicles ATX are available with hundreds of options for the loading area. 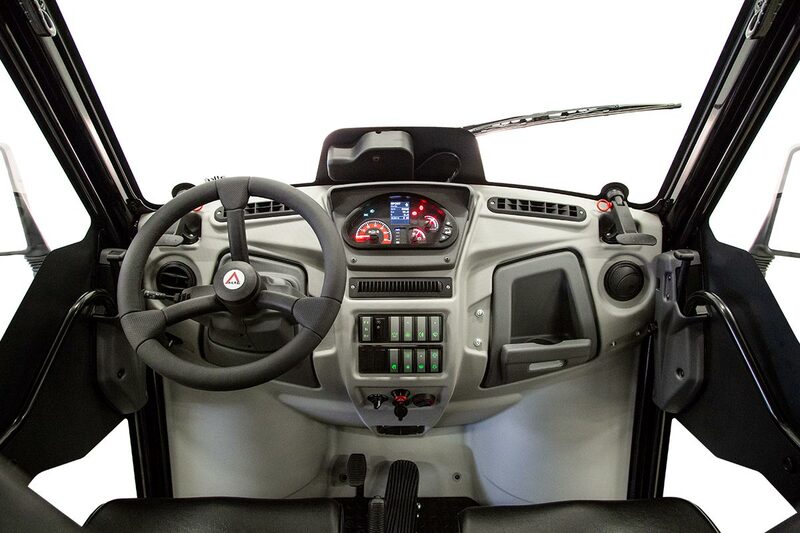 From a technological point of view, they can be equipped with a body computer which connects all the vehicle devices to the Alkè cloud for real time monitoring of the activities on the vehicle as well as remote troubleshooting, which is also available in real time. 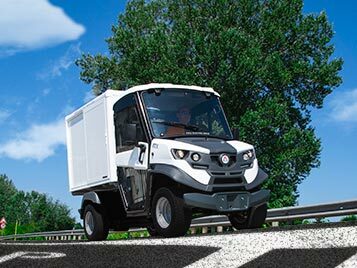 The range of electric utility vehicles ATX is used every day in different sectors, from industry to logistics, from tourism to the public sector, as well as in critical environments with extreme temperatures. Autonomy up to 150 km The maximum autonomy is in relation to the model with the 20 kW lithium battery. This is an approximate figure and is achieved when driving on a flat surface, in optimum usage conditions, with ECO mode and energy save, max. speed 20 km/h, for non-continuous use (battery dead in 5 hours). 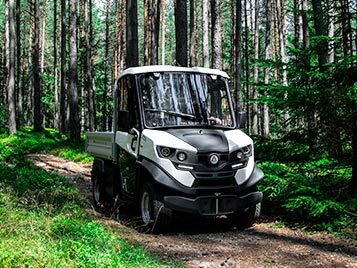 Negotiable slope up to 35% ATX vehicles are probably the only electric utility vehicles in the category which are able to maintain high performance levels even when faced with difficult terrain or uphill stretches. Load capacity up to 1.630 kg An extremely robust structure ensures a high load capacity. 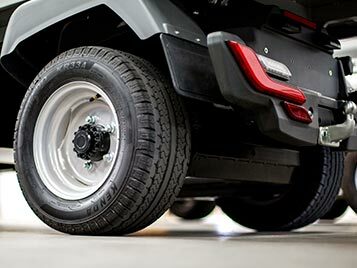 Towing capacity up to 4.500 kg On private areas (2.000 kg on roads).